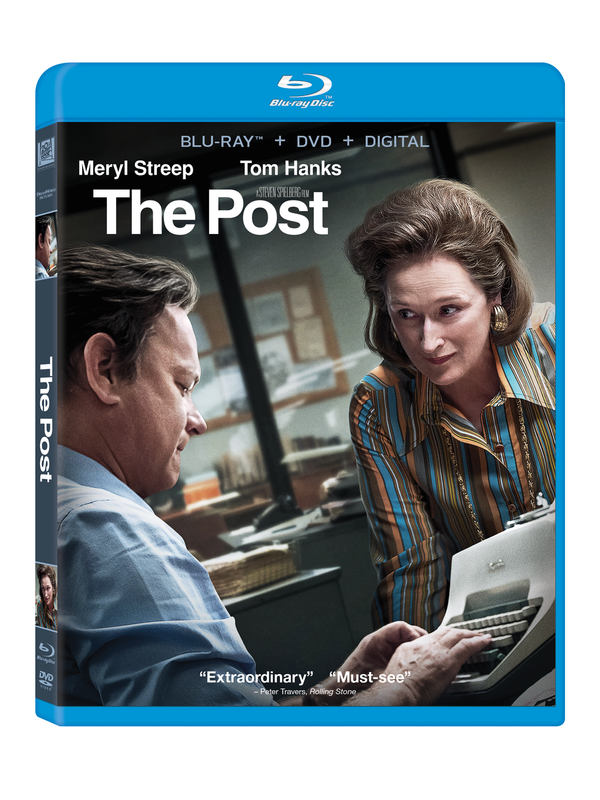 Academy Award winners Steven Spielberg, Meryl Streep, and Tom Hanks team up for the first time together on “The Post,” available on 4K Ultra HD, Blu-ray and DVD on Tuesday April 17. Determined to uphold the nation’s civil liberties, Katharine Graham (Streep), publisher of “The Washington Post,” and hard-nosed editor Ben Bradlee (Hanks) join forces to expose a decades-long cover-up involving the Pentagon Papers. Nevertheless, the two risk their careers—and possible arrest—to bring truth to light in this powerful fact-based film with a celebrated cast. “The Post” home entertainment release features 90 minutes of bonus content, depicting the real-life events behind the groundbreaking untold story and the journey to bring it to the big screen. Documentaries about the film feature Spielberg, Streep and Hanks, reporters and others. Included are insightful interviews, documents from the Pentagon Papers era, and exclusive behind-the-scenes footage. “The Post” also is available on Movies Anywhere. Action hero and Oscar nominee Liam Neeson (“Taken,” “Schindler’s List”) proves that no one gets hurt on his watch in “The Commuter,” arriving on 4K Ultra HD Combo Pack (plus Blu-ray and Digital), Blu-ray Combo Pack (plus DVD and Digital), DVD, and On Demand Tuesday April 17 from Lionsgate. Time is ticking as Michael (Neeson) gets entangled in a deadly conspiracy on his daily commute that forces him to work against the clock to protect the lives of his fellow train passengers. The action thriller also stars Vera Farmiga (“The Conjuring,” “Bates Motel”), Patrick Wilson (“The Conjuring,” “Insidious”), Jonathan Banks (“Breaking Bad,” “Better Call Saul”), with Elizabeth McGovern (“Downton Abbey”) and Sam Neill (“Thor: Ragnarok”). From Jaume Collet-Serra, the director of “Non-Stop” and “The Shallows,” and written for the screen by Byron Willinger, Philip de Blasi and Ryan Engle, “The Commuter’s” home entertainment release includes two never-before-seen featurettes that focus on the cast’s experience shooting the film and the technical details of shooting on a train. The 4K Ultra HD and Blu-ray versions will also feature Dolby Atmos audio remixed specifically for the home-theater environment, to place and move audio anywhere in the room, including overhead. “The Commuter” will be available on 4K Ultra HD Combo Pack, Blu-ray Combo Pack, and DVD for the suggested retail price of $42.99, $39.99, and $29.95, respectively. The action thriller also is available now on Digital. The notorious Winchester Mansion’s sinister secrets are revealed in “Winchester,” arriving on Digital Tuesday April17 and on Blu-ray Combo Pack (plus DVD and Digital), DVD, from Lionsgate. 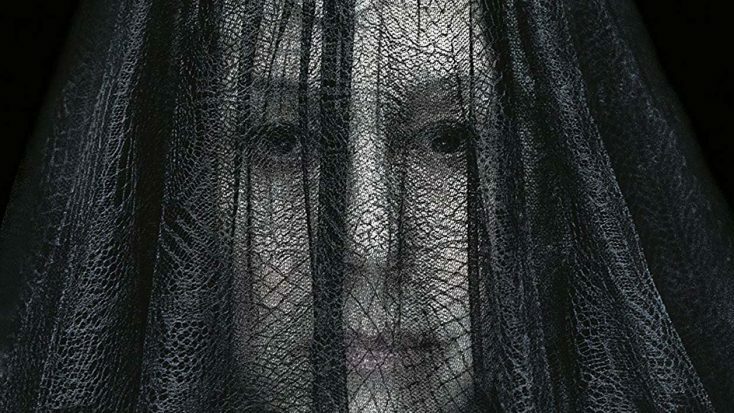 Directed by The Spierig Brothers (“Jigsaw,” “Predestination”) and co-written by Tom Vaughan and The Spierig Brothers, Academy Award-winner Helen Mirren (“The Queen, 2006) stars as the infamous and eccentric heiress Sarah Winchester, who stops at nothing to protect her family from the evil spirits haunting them. The thriller also stars Jason Clarke (“Zero Dark Thirty,” “Chappaquiddick”), Sarah Snook (“Steve Jobs,” “Predestination”), Angus Sampson (“Mad Max: Fury Road,” “Insidious”), and newcomer Finn Scicluna-O’Prey (“True Story with Hamish & Andy”). The “Winchester” Blu-ray Combo Pack and DVD includes a never-before-seen “making of” featurette, which includes cast and crew interviews, and will be available for the suggested retail price of (SRP) $39.99 and $29.95, respectively. The suspense drama will be available On Demand on May 1. The Harlem set crime saga “Honor Up” arrives on Blu-ray, DVD, and Digital Tuesday April 17 from Lionsgate. The film currently is available On Demand. Executive produced by Kanye West, the film is written and directed by Damon Dash and follows the character OG, played by Dash, who is torn between his dedication to his family and honoring his street code. “Honor Up” also stars rappers Cam’ron, Murda Mook, Blackface and Smoke DZA, and features an appearance by Nicholas Turturro. Producer Damon Dash and executive producer West present this epic, explosive crime saga. Dash stars as OG, a drug lord’s lieutenant struggling to maintain the code of honor—protect the family—within his unruly crew after a Harlem shootout. This film reveals a deadly underworld where beats pound as bullets fly, and even outlaws must live by the code. The home entertainment editions include commentary with director/actor/producer Dash and producer/actress Raquel M. Horn. The “Honor Up” Blu-ray and DVD includes an audio commentary and will be available on Blu-ray and DVD for the SRP of $21.99 and $19.98, respectively. Acorn will release the foreign language miniseries “The Accident (L’Accident)” on Tuesday April 17. Bruno Solo (“Blood on the Docks”) stars Bruno Solo (Blood on the Docks) stars as kindhearted construction boss Gabriel Cauvy who lives with his wife, Rebecca, and their daughter, Luna, in Sainte Lune, a picturesque but struggling village in Brittany, France. One day, Gabriel notices his wife behaving strangely, and hours later she is killed in a car wreck. Amid his grief, Gabriel also contends with the bizarre circumstances of the crash. Why was Rebecca’s car stopped in the middle of the road, facing the wrong way? Why did she have an empty bottle of vodka in the passenger seat when she didn’t drink liquor? Was it truly an accident? Or could it have been something more sinister? When the police and the rest of Sainte Lune blame Rebecca for the crash, Gabriel determines to clear her name. But as he starts his own investigation, the residents of his quaint little town all seem to be hiding something—and the search for the truth is more dangerous than he could have imagined. The two-disc DVD set features six episodes ($39.99, Amazon.com). “The Accident (L’Accident)” made its U.S. premiere in December on Acorn TV. ‘Crazy Rich Asians,’ ‘Some Like it Hot,’ ‘No Offence,’ More on Home Entertainment … Plus a Giveaway!